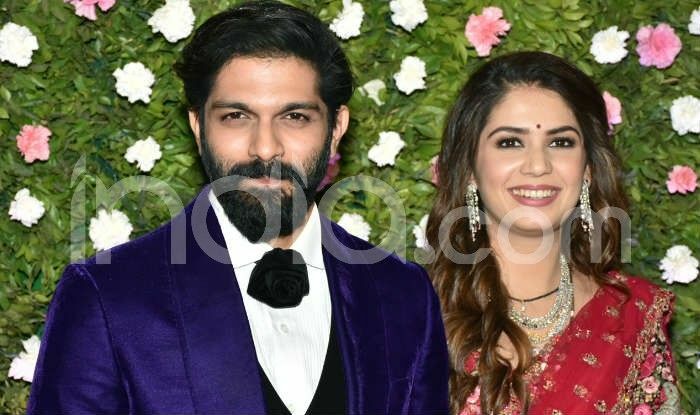 Here are the photos from the wedding reception of Raj Thackeray's son Amit Thackeray and Mitali Borude. 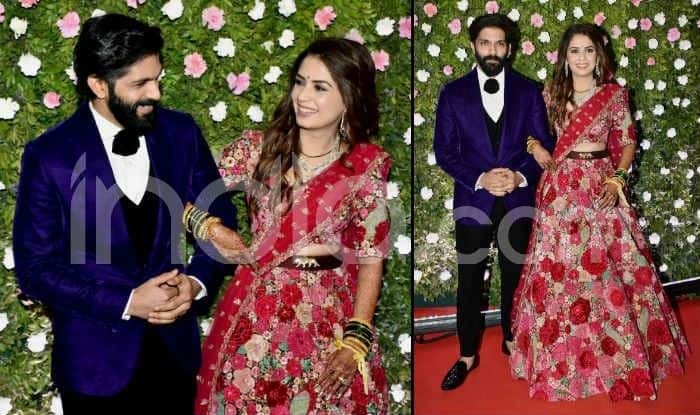 Maharashtra Navnirman Sena President Raj Thackeray’s son Amit got married to fashion designer Mitali Borude in a traditional Maharashtrian style wedding ceremony, in Mumbai on Sunday afternoon. After the wedding the family thew a wedding reception inviting the who’s who of the Hindi film industry. The Thackeray family posed for the shutterbugs at the reception. The bride wore a stunning pink-coloured Sabyasachi outfit while the groom was dressed suavely in a purple-black three-piece suit. 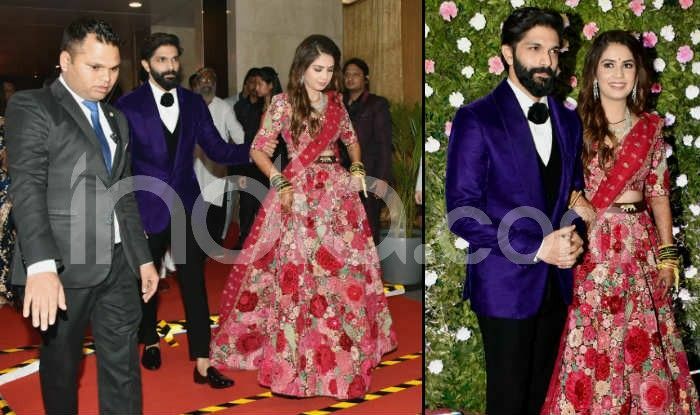 The wedding was attended by the who’s who of politics, corporate world, film industry, sports, glamour and of course close family members at a five-star hotel. 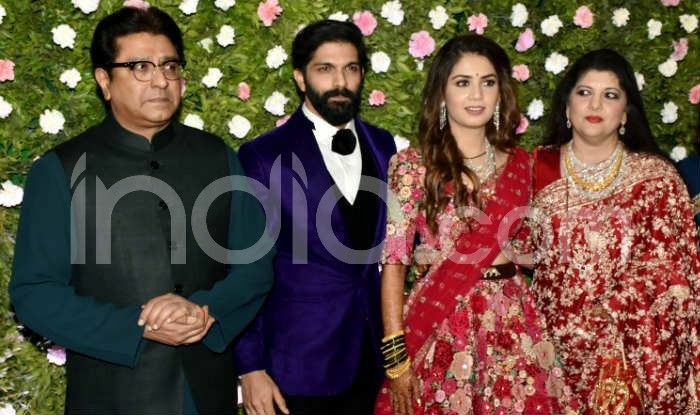 Raj and his wife, Sharmila, were seen warmly greeting guests who included his cousin and Shiv Sena President Uddhav Thackeray, wife Rashmi and their son Aditya, another cousin brother Jaidev Thackeray and his family members, and other of the Thackeray clan. Incidentally, Amit and Mitali, both childhood friends, were betrothed on December 11, 2017, which happens to be the wedding anniversary of Raj and Sharmila. 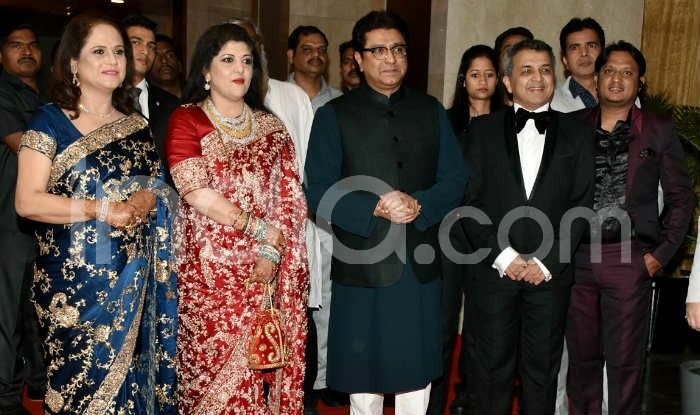 A steady stream of high-profile guests were seen at the power-packed wedding starting with Governor C.V. Rao, Chief Minister Devendra Fadnavis, Union Minister Nitin Gadkari, Maharastra Minister Pankaja Munde and many more. Senior Congress leader Ahmed Patel, who is a close aide of Sonia Gandhi and Rahul Gandhi, was also there to bless the young couple. Nationalist Congress Party supremo Sharad Pawar, his nephew Ajit Pawar, and their families also marked their presence. Bharat Ratna and cricket icon Sachin Tendulkar was present with his wife sporting a typical Maharashtrian attire, and also renowned singer Asha Bhosle. Industrialist and philanthropist Ratan Tata, actor Aamir Khan, Ritesh Deshmukh, yesteryear actress Sulochana and many big names from the Marathi film world also attended the festivities. Raj’s daughter Urvashi and his daughter-in-law Mitali had some time ago launched their own fashion label, “The Rack”.